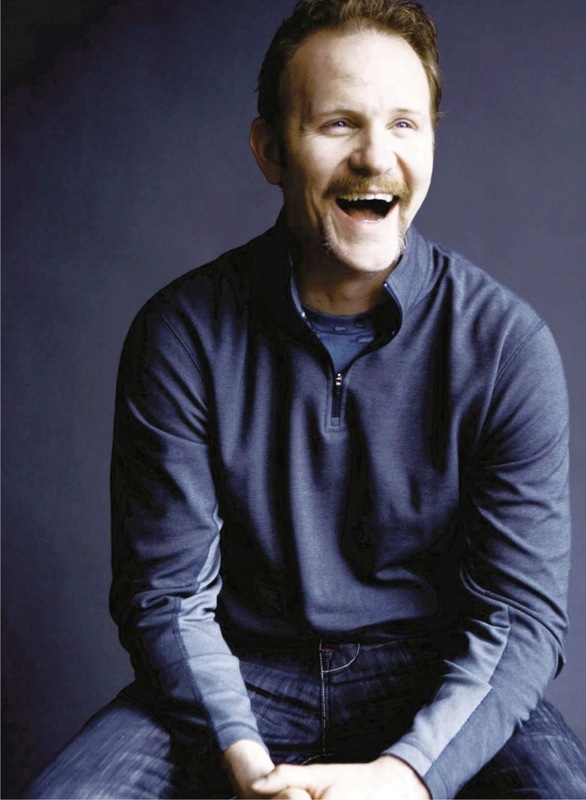 “I’m not gay, but my mustache is flaming,” said Morgan Spurlock upon receiving a 2006 GLAAD Media Award for an episode of his F/X reality series 30 Days — and his career’s been equally red-hot since his 2004 Oscar-nominated documentary Super Size Me, in which he jeopardized his health by exclusively eating McDonald’s for a month. Having risked life and limb again while pursuing the “queen of al-Qaeda” for his latest doc, Where in the World Is Osama bin Laden?, the 37-year-old new dad explores the cinematic appeal of coming out, coming out, wherever you are. The Advocate: I’m much more Bravo than CNN, but I really enjoyed your new film. Did you purposely try to make it accessible for people like me? Morgan Spurlock: It’s important to make anything that deals with really dense, hard-to-swallow subjects interesting. Every time you turn on the TV, there’s some gloom and doom, so if you can do it with some sort of humor or levity, it helps. This is one of those issues that’s been around for a while, so we tried to breathe some new life into it. Have you gotten any flak for abandoning your pregnant wife, Alexandra, to go find Osama bin Laden in the Middle East? In a sense, isn’t Osama really just a big closet case that happens to have the deepest, most hidden closet in history? [Laughs] He could be! Or is he even real? I think Osama’s become almost like [The Usual Suspects character] Keyser Söze — he’s this guy who’s everywhere and nowhere. How do you explain Osama’s alleged obsession with Whitney Houston? Hey, don’t we all want to dance with somebody? Did you meet any gays along your travels? We met some incredible gay people. There were two bloggers that we spoke to in Saudi Arabia, and one of them is a gay guy. He talked about what it’s like living in a country where there is an incredible amount of sexual repression and a lot of things that you can’t talk about or put out in the public eye, homosexuality being one of them. He says there’s a huge gay scene in Saudi Arabia, but it’s all underground — like, there’s a Starbucks where you go meet other guys at a certain time on a certain day. We had over 1,000 hours of footage, and you just can’t put all of it in the movie, but there’s a book that’s coming out the same time as the film that expands on a lot of the stuff that I experienced on my trip. And the DVD extras are going to be amazing. How did your experiences overseas affect your opinion on gays in the military? We did a great show on 30 Days about a straight guy who was in the military who goes to live with a gay man in San Francisco, and it’s one of my favorite episodes. The guy in the show walks away saying, “I would serve side by side with you as a soldier.” I feel the same way. If somebody’s brave enough to go out there and fight for this country, it doesn’t matter who they are — gay, straight or otherwise. That “Straight/Gay” 30 Days episode won the GLAAD Media Award for Outstanding Reality Program. How was the awards ceremony? Oh, I was stoked I got to meet the guys from Heatherette, which was fantastic. That was a great event. For us to get honored by GLAAD gives a lot of credibility to the show. It’s a lot of work to make that show — six episodes takes us about eight months — so it was really rewarding. You beat out some very popular nominees, such as America’s Next Top Model. Did you receive any backlash? No, Tyra didn’t call me and scream at me. Does that “flaming mustache” to which you referred in your acceptance speech ever invite unwanted come-ons? Most people know that I’m in a relationship, but I think if I was single, maybe it might get me into trouble. In another episode of 30 Days, you spent some time in jail. Did you witness any homosexual acts behind bars? It was all pretty low-key, and most guys don’t talk about it if there’s anything going on. There was a transvestite named Monica that you don’t see in the show, and every time I would go to the shower she’d say, “Morgan, let me know if you want me to wash your back for you.” And I was, like, “I think I’m all right.” I guess she wanted to make sure I was clean. Might you ever make a feature-length documentary about gay issues? We’ve been knocking it around for a while, so maybe. I have a lot of friends who have come out over the course of knowing them, and there is a fantastic movie in there about coming out. I think if you can really capture someone or even a few people who are going through that process, that would be an amazing, emotional film. There are great things you see of people coming to terms with it or coming to grips with the reality that it’s still their son or daughter, and they love them. That comes out in that episode of 30 Days, when the straight guy visits the families at PFLAG, where a father’s, like, “What, so my daughter shouldn’t have the same rights as anybody else? I don’t love her any less.” There’s such beautiful sentiment there. How will you react if your son comes out one day? You know what? He’s my son, and I’m going to love him no matter what. He can do whatever he wants. Right now he’s 14 months old, so I don’t think he’s thinking about it. And he likes trucks, but who knows? [Laughs] We’ll see what happens. How gay-friendly was your hometown of Beckley, W.Va.? My mother, who’s a guidance counselor, often talks about how much hush-hush there was. There was a place in town up at the football stadium where gay people would meet one another. They’d park there and then go off and have dinner, a drink — I don’t know what happened after that. Then there were a couple bars about which people would be, like, “Oh, that’s one of those bars where those people go.” You’d hear that a lot. And I grew up in a family of ballet-dancing brothers! I was the youngest of three brothers; the older two went on to dance professionally, and I took ballet for eight years from 5 to 13. Both my brothers are also straight, both married now with kids, but believe me: A ballet dancer was not the coolest thing to be as a young man in West Virginia. There were a lot of people who were accepting of us, but there were people who were very angry about that. Attending New York University’s Tisch School of the Arts must’ve been quite a culture shock. And I went to the University of Southern California before I transferred to NYU. Once you get into college, all bets are off. That’s when you’re hanging out with your first gay friend, and everybody’s very liberated — now I can go to college and be gay! For me, coming from West Virginia, it was incredibly freeing to suddenly be in an environment where you could talk about anything and hang out with anybody. It was really exciting. Whom do you support in the presidential race? I have not decided yet. I like Obama, I like Hillary Clinton — I even liked McCain for a long time, but I’m not somebody who wants to have more wars. We’ll have to wait and see on Election Day. I usually don’t 100% make up my mind until I pull that handle. Whatever became of Public Nuisance, the series you were developing for Comedy Central? Yeah, it’s a bummer, but they passed on the show. We shot a pilot, and the results of the test screenings — you know, those focus groups — was “We think the show’s too smart.” I guess that’s better than it being too dumb, but it would be nice if we finally got it on the air. You created the MTV game show I Bet You Will, on which contestants did stunts for money. So how much cash would it take for you to make out with a guy? [Laughs] Well, it might not take a lot — depending on who he is. I’d kiss George Clooney for nothin’! He’s a good-looking man. The Advocate, May 2008; extended online version.